Duke Ellington’s music is at the very heart of America’s 20th-century musical heritage and the core of the rich canon of jazz music. Jazz at Lincoln Center, committed to instilling a broader understanding of this music, created the Essentially Ellington program (EE) during the 1995–96 school year to make Ellington’s music accessible to as many high school musicians as possible and to support the development of their schools’ music programs. Access to a revolutionary interactive video featuring the Jazz at Lincoln Center Orchestra rehearsing each chart, courtesy of Tutti Dynamics, Inc.
Jazz Music Institute (JMI) and Jazz at Lincoln Center are partnering to present the Essentially Ellington Down Under Regional Festival. In 2019, the festival will be held in Brisbane, Perth, Adelaide, Melbourne and Sydney, offering high school jazz bands and music directors/musicians of all sorts some excellent performance and professional development opportunities. The Essentially Ellington Down Under Regional Festival will be adjudicated using the rubric developed by Jazz at Lincoln Center. Click here to download the adjudication criteria and rubric. In addition to holding a competition in each major city, there will be a FULL DAY professional development workshop with the two Jazz at Lincoln Center representatives the following day. The Essentially Ellington Teacher Workshop is open to anyone and is not restricted to directors performing in the competition. The workshop is perfect for anyone interested in gaining a deeper understanding of jazz music and techniques for how to teach jazz to young people. The Essentially Ellington Teacher Workshop is an excellent professional development opportunity to hear, engage and interact with two internationally renowned performers and educators. There will be sessions in this workshop where the Jazz at Lincoln Center representatives will work with a high school big band and rhythm section, working through rehearsal techniques and giving attendees first-hand experiences of the techniques used to improve ensemble blending and dynamics, articulation and stylistic approaches. Once you’ve signed up as a member, you can access the eight charts available for the 2018-19 Essentially Ellington collection by clicking on the “Sheet Music” tab in the members section. You can also access any chart from the Essentially Ellington library from previous years. The list of charts in the library is available here. To get these charts, e-mail the Essentially Ellington team at Jazz at Lincoln Center ee@jazz.org and request the chart. Group Registration Teachers Workshop = Buy 3 and get 1 free! The festival will be held from midday onwards in each city. There are performance times available for either during school hours or after school hours, depending on your school’s preference. You are able to specify your preferred performance time on the registration form. Vincent Gardner was born in Chicago in 1972 and was raised in Hampton, Virginia. 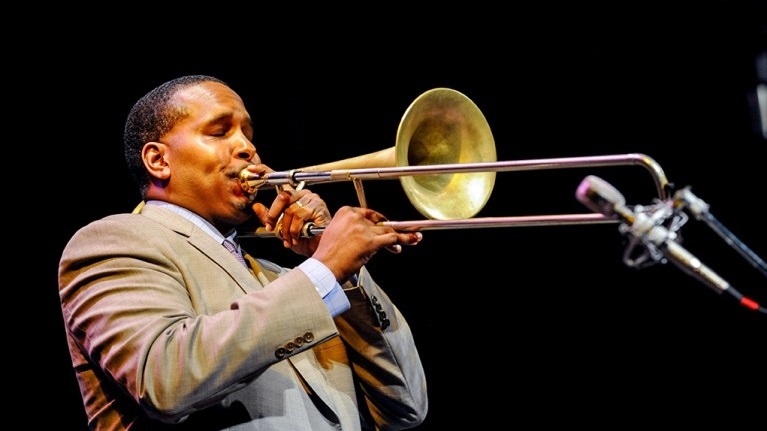 After singing, playing piano, violin, saxophone, and French horn at an early age, he decided on the trombone at age 12. He attended Florida A&M University and the University of North Florida. He soon caught the ear of Mercer Ellington, who hired Gardner for his first professional job. After graduating from college, he moved to Brooklyn, New York, completed a world tour with Lauryn Hill in 2000, then joined the Jazz at Lincoln Center Orchestra. Gardner has served as instructor at The Juilliard School, as visiting instructor at Florida State University and Michigan State University, and as adjunct instructor at The New School. He has contributed many arrangements to the Jazz at Lincoln Center Orchestra and other ensembles. In 2009 he was commissioned by Jazz at Lincoln Center to write “The Jesse B. Semple Suite,” a 60-minute suite inspired by the short stories of Langston Hughes. Gardner is featured on a number of notable recordings and has recorded five CDs as a leader for Steeplechase Records. He has performed with The Duke Ellington Orchestra, Bobby McFerrin, Harry Connick, Jr., The Saturday Night Live Band, Chaka Khan, A Tribe Called Quest, and many others. Jerome has always valued education and the pursuit of excellence. In 2004 he graduated from Rutgers University Mason Gross School for the performing arts. Later, the summer of 2007 Jerome earned a Masters Degree from the prestigious Juilliard School in Manhattan NY. Beginning fall 2017, Jerome has accepted the position as Resident Director of The Juilliard Jazz Orchestra. 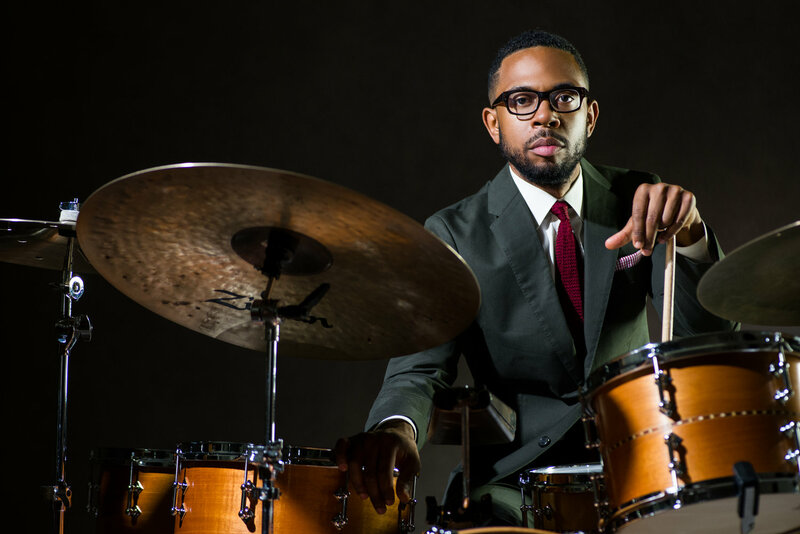 Currently, Jerome is keeping extremely busy teaching, conducting clinics, educational youth out reach in conjunction with Jazz At Lincoln Center’s Jazz for Young People (JFYP) program. As always, Jerome has remained a pertinent performer. His debut recording ‘The Beast’ was named one of the top 3 Jazz releases by NPR, received a 4 star rating in DownBeat Magazine, and nominated for the prestigious French ‘Grand Prix du disque’ award for Album Of The Year 2016. To date Jerome has/is performing/recording/touring with; Sonny Rollins, Hank Jones, The Count Basie Orchestra, Dee Dee Bridgewater, Wynton Marsalis (J@LC), Christian McBride, Paula West, Ernestine Anderson, The Mingus Big Band, Catherine Russell, Craig Handy, Davell Crawford, Henry Butler, Houston Person, Mike “Philly” Phillips, Slide Hampton, Benny Golson, Gerald Wilson, Tim Reis, Bernard Fowler, Benny Powell, Ronnie Mathews, Curtis Fuller, Valery Ponomarev, and many more.